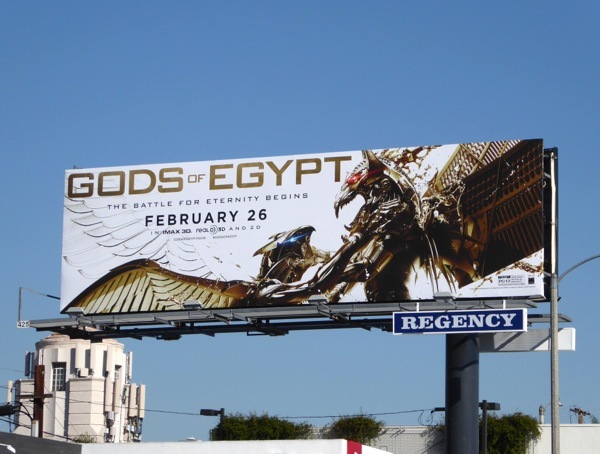 Myths and ancient religions have always been fertile ground for Hollywood storytelling in the past, and this year is no exception as Gods of Egypt is the new fantasy movie to take flight in the skies of L.A.
Alex Proyas, the director of The Crow, Dark City and I, Robot, brings the fantastical world of Egyptian mythology to life when a lowly mortal hero dares to challenge the rule of 'Set', the merciless god of darkness (played by Gerard Butler), to save his true love with the help of the god 'Horus' (Game of Thrones Nikolaj Coster-Waldau). 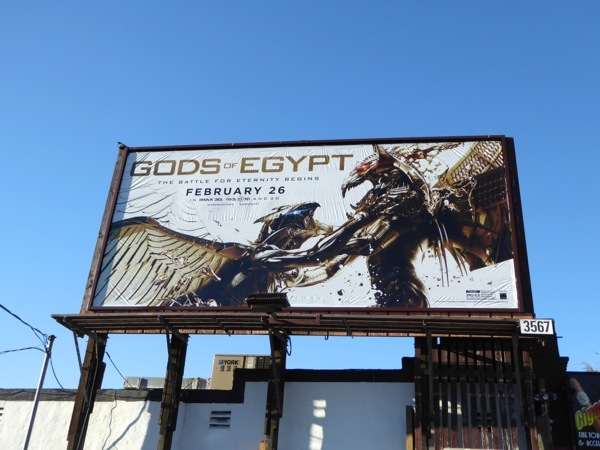 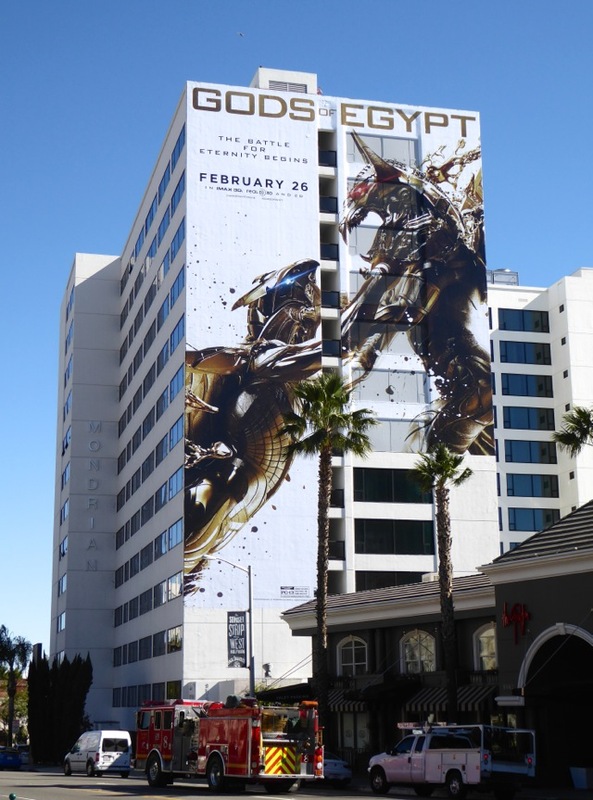 These eye-catching landscape billboards for the movie were first snapped along Santa Monica Boulevard on January 25, then later along Melrose Avenue and above Beverly Boulevard through February 6, 2016. 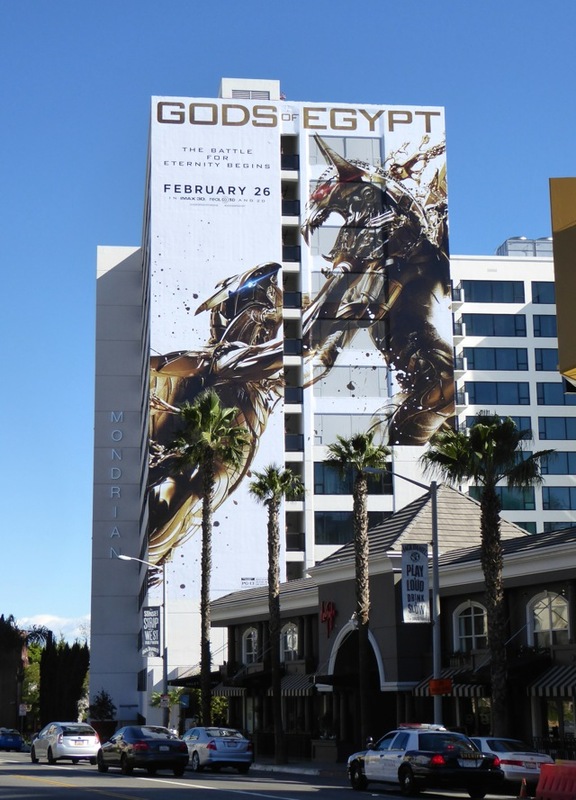 Meanwhile the warring giant-sized golden gods making a super-sized spectacle along West Hollywood's Sunset Strip were photographed on February 1, 2016. 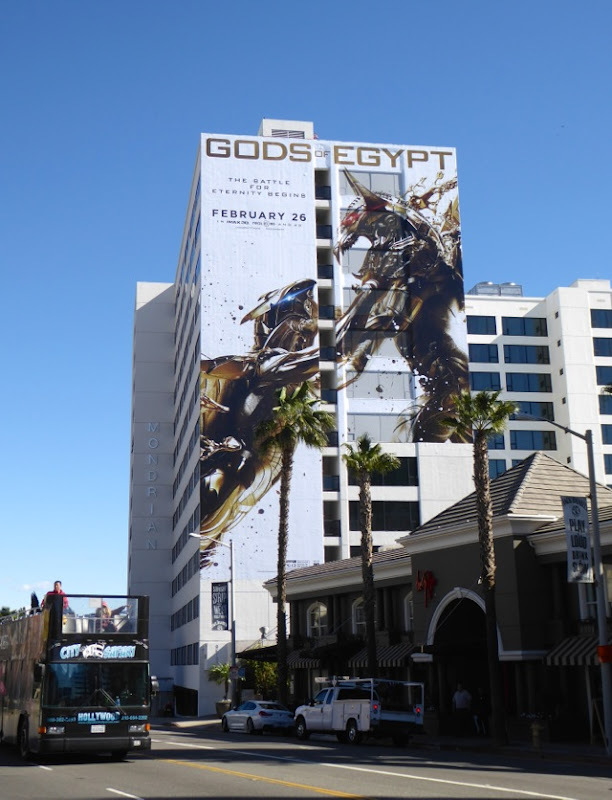 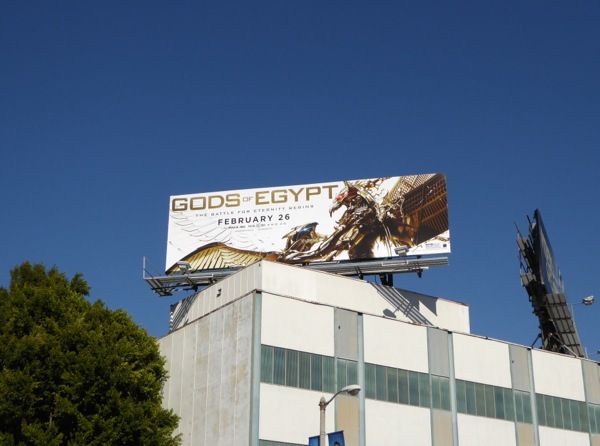 For similar ancient Egyptian and mythological tales, be sure to also check out these Exodus: Gods and Kings movie billboards and these Wrath of the Titans movie billboards. 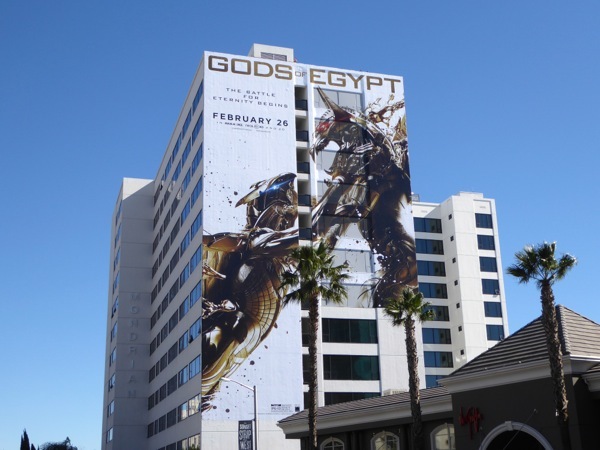 Only time with tell whether a new film franchise is born, but for now, are you ready for the CGI battle for eternity to begin?